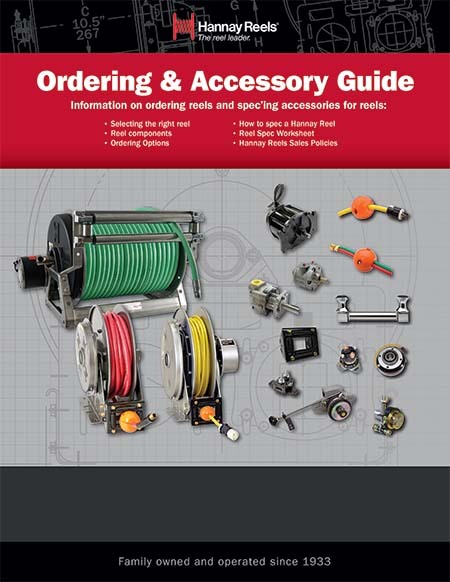 Finding the right reel starts with our Hose and Cable Reel Spec Sheets below. Please provide as much information as possible. A brief, step-by-step video is also available below to guide you through each worksheet. Use our Dealer Locator to find a dealer near you and send them your spec sheet. Or email your spec sheet to reels@hannay.com or fax 800.733.5464 (domestic) or to 518.797.3259 (international). If you still have questions or need more information, please call 1.877.467.3357. If you need assistance, please view our step-by-step instructional video. Important information on hose and cable reel specifications and accessories. 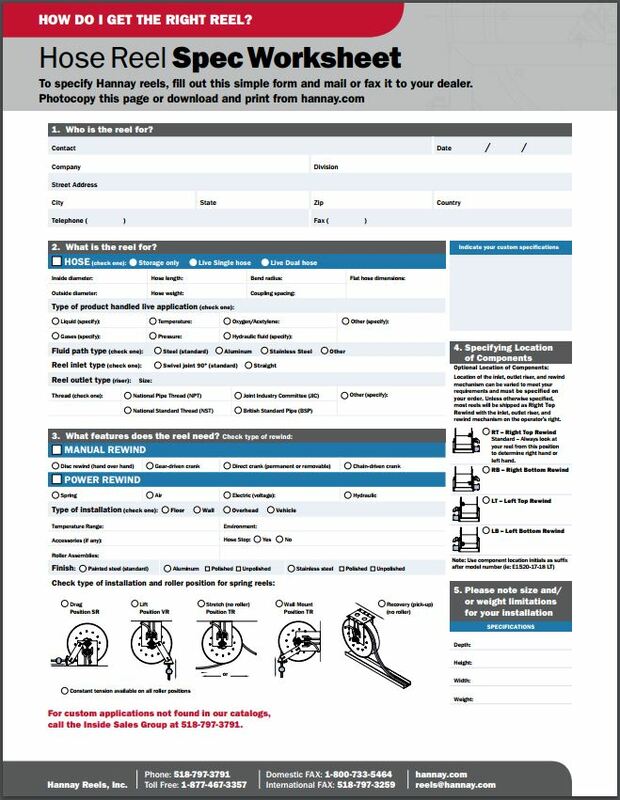 Click here to view a short video on how to fill out a hose reel ordering form. 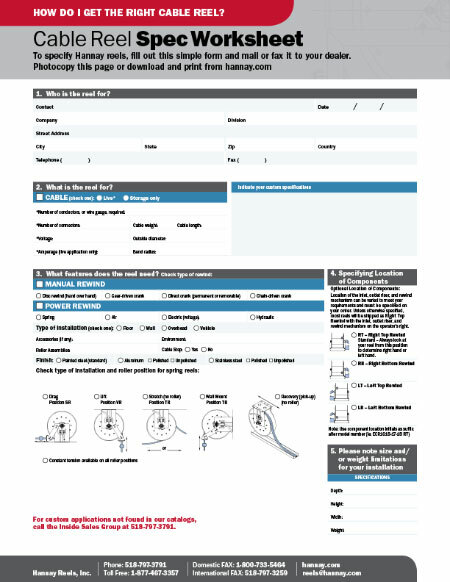 Click here to view a short video on how to fill out the cable reel ordering form.